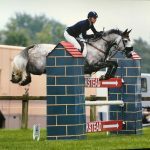 Veyga (yard name Boo) performed brilliantly at his first ever International Event at Nunney International Horse Trials, (17 -19 June), and despite steep competition and challenging cross country, gained 6th place and a Gatcombe Novice Championships Qualifier. Sharon says: “It was an amazing day befitting of an incredible venue at Nunney. Veyga was superb over a really decent XC course. We’re all really pleased with his progress.” It’s exciting times for this horse – definitely one to watch. 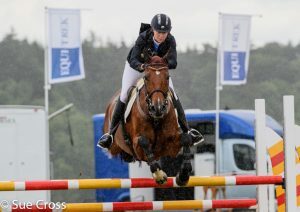 A point reiterated by his performance at Hickstead where he finished 6th in the 1.25m Final.